Do you really know that your business is doomed to fail if you have best products/services to offer but people don’t know about them? Yes, it is damn true. Generating quality leads is the only way to boost your revenues and profits ultimately by investing in fertile and result driven marketing strategies. 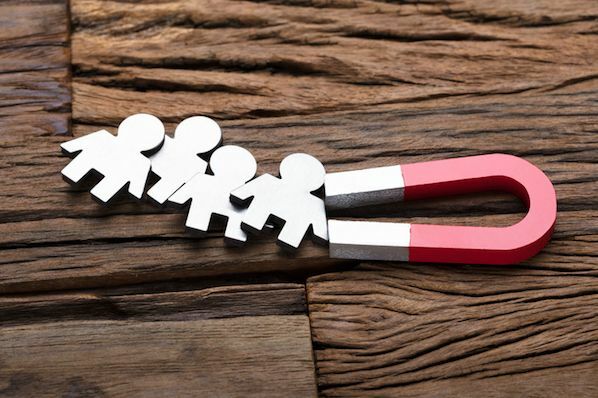 Since there are a lot of marketing strategies that can be used by small businesses to generate more leads, you must be choosy in your marketing tactics to get desired outcomes in the form of increased leads and sales. Here I have listed clever lead generation ideas to get more leads in 2019 that you can adopt right now to take your business towards optimum growth. Content marketing will remain at the top of best lead generation ideas as it allows your customers/clients solve a lot of their problems in real timey just by reading your informative and problem solving blog posts. Publishing wide variety of useful content like informative posts, how to’s, problem solving posts and infographics let you build user trust and convert them into leads and sales. You can also encourage your blog readers for subscribing your newsletter to keep them visiting that will definitely increase user retention rate to help you get more sales. As white papers and eBooks are known as common lead magnets, you can run and host online events to stand out from the crowd to get more leads in a unique way. You can organize webinars to provide your existing and prospective customers/clients with valuable information and details when you are live with them. It is said by experts that, webinars can provide you with higher conversion rate to get both subscribers and clients too. However, you must have an appealing and easy to navigate landing page to convert more webinar traffic into leads. When you will provide webinar participants with something rally valuable and handy, they will definitely buy something from you as the best solution to their specific issues or problems. People these days prefer to listen experts, ask questions and get positive responses in real time. There are a lot of tools like ‘Zoom’ that can be used to organize online events more effectively than ever before. You can organize webinars once a week or two times in a week to keep people engaged with your business. Believe or not, integrating social media into your lead generation process can help your business grow rapidly. Adding social sign up to your lead generation forms could be a great step to create ease for your customers for smooth sign up process. By doing so, you provide you customers an option to easily sign up with their social media profiles without entering confidential details again and again. When they will feel easy to sign up for your business, they will definitely buy something from your company or brand. Facebook lead ads loyalty is one of the most obvious ways to generate more leads by the integration of social media in your lead generation process. As Facebook lead ads allow brands and companies to run Facebook advertisements by targeting qualified prospects that bump into specified search criteria, Facebooks ads can help you target right prospects to turn them into customers. You can also use chatbots in your social media marketing strategy to entertain users in real time to convert them into valuable customers. Latest tech inventions always set new trends in the market and totally transform the way businesses market their products or services. For instance, smartphones are common all over the world and people use their smartphones to read their emails, browse social media profiles and to get the required information and details about their favorite brands. This is the reason; marketers should also invest in latest marketing techniques to target such users. Having a mobile responsive website is not only enough for a prolific mobile marketing strategy but you should also invest in chatbots and mobile apps to provide users with 24/7 support so you can easily target the users who are using mobile devices. Through this way, you will be able to get huge amount of customers. As picture speaks a thousand words, a creatively made video can deliver your message to your audience more effectively. Video ads can also be great for people who are unable to learn by reading. An appealing and sweet video offers you a great way to quickly educate your visitors on products or services your offer. You can also promote your video ads on different platforms like YouTube, Instagram and Facebook etc. to grab the attention of more users. However, you should keep your video short, wisely use first few seconds of your video to generate interest and deliver your message in a unique yet appealing manner in order to get better outcomes.